The Economic and Financial Crimes Commission (EFCC), on Wednesday docked 14 foreign nationals before a Federal High Court, Lagos, over alleged illegal dealing in petroleum products. The accused included three Russians — Arthur Pakhladzhian, Vasaliy Shkundich and Kretov Andrey; one Japanese, Sergio Abgarian; three Ukrainians — Vitalis Biluos, Laguta Olesksiy and Chepikov Oleksan. Others are seven Britons — Hilarion Teofilo Regipor, Cadavis Gerardo, Baduria Benjamin, Naranjo Allian Antero, Patro Christian, Alcayde Joel, Carantiquit Micheal Bryan — and three vessels- MT Anukt Emerald, Monjasa DMCC, and Glencore Energy UK Ltd. 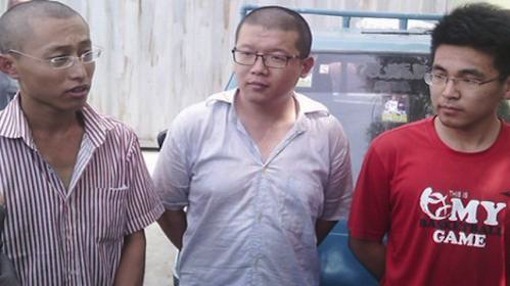 The accused are standing trial on a four-count charge of conspiracy, unlawful dealing and storage of petroleum products without lawful authority. According to the charge, the accused committed the offences on Feb. 27 within the jurisdiction of the court. It alleged that they stored 1,500 tonnes of automated gas oil inside the MT Anuket Emerald’s Cargo tank. The charge also alleged that they stored 3,035 tonnes of Low Pour Fuel Oil (LPFO) in other tanks. The agency said that offences contravened Sections 4, 17, 19 (6) of the Miscellaneous Offences Act and the Petroleum Act, Laws of Federation. The accused pleaded not guilty to the charges when they were read to them in the dock. Consequently, the Prosecutor, Mr Rotimi Oyedepo, urged the court to remand them in prison custody pending their trial. However, Mr Babajide Koku, the Defence counsel, in an oral application for bail, urged the court to admit his clients to bail on self-recognition. Koku also told the court that in a situation where the accused could not produce the sureties, he (accused) had promised to provide bank guarantee of N750 million. Oyedepo, opposed the application on grounds that the authority which was cited by the counsel did not apply to the case at hand, because the accused were not Nigerians. He, therefore, urged the court to impose stringent bail conditions on them. The presiding judge, Justice Ibrahim Buba, admitted the accused to bail in the sum of N50 million with one surety each in like sum. Buba added that the accused should deposit their international passports with the EFCC and be remanded in prison custody until the perfection of their bail conditions. The case was adjourned till June 17, 18 and 19 for trial.